James Wesselman is a retired engineer who became involved with FIRST AmeriCorp VISTA program in partnership with Citizen Schools because he believed it was an excellent opportunity to give back and be involved with the youth of our future by sharing his enthusiasm in robotics. FIRST (For Inspiration and Recognition of Science and Technology) is a international non-profit supporting K-12 STEM education through four independent progressive robotic competitions including FIRST LEGO League (FLL). 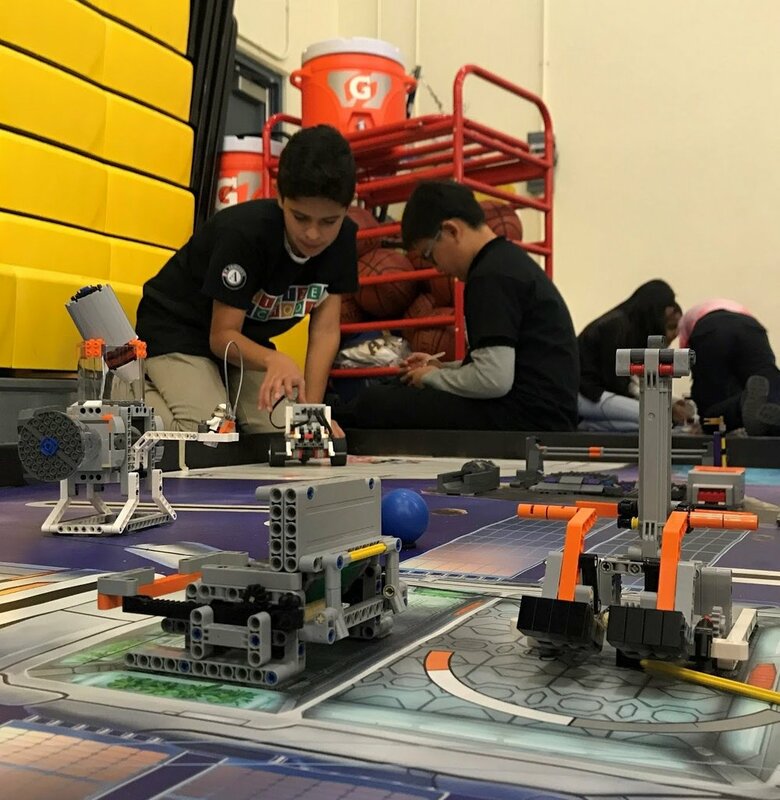 FLL utilizes the Lego Mindstorms Robot in a yearly updated challenge performed on a 4’x8’ field and including judging of projects, robot design and core values. This year’s challenge, “Into Orbit,” required participants to research and propose solutions for humans long term survival in space. “5 students in Lego Robotics came into the Citizen Schools office to work on their "missions" for a competition they will be participating in. Each student had a specific role on this team and were busy either constructing the robots or programming the "mission" paths. Bonnie was at the helm leading the team and ensuring each team member was working equally. Although the schedule was short, there was just enough time allowed in the 10 weeks to introduce the Mindstorms robot, programming and FLL challenge to the students, teach some basic coding and build skills to participate in a qualifier. The chance to participate in an event, competing with other teams provides inspiration to the students to strive harder and learn more. I am impressed and proud of the students in Lego Robotics for their continuous engagement and enthusiasm with the FLL Challenge and particularly of their success at the qualifier competition. I witnessed their ability to work together, innovate and present themselves positively. Through their eyes I see a bright future.